We’re still a few weeks away from the Samsung Galaxy S10’s official debut, but the rumor mill is helping to make the wait easier by providing a steady stream of leaks. 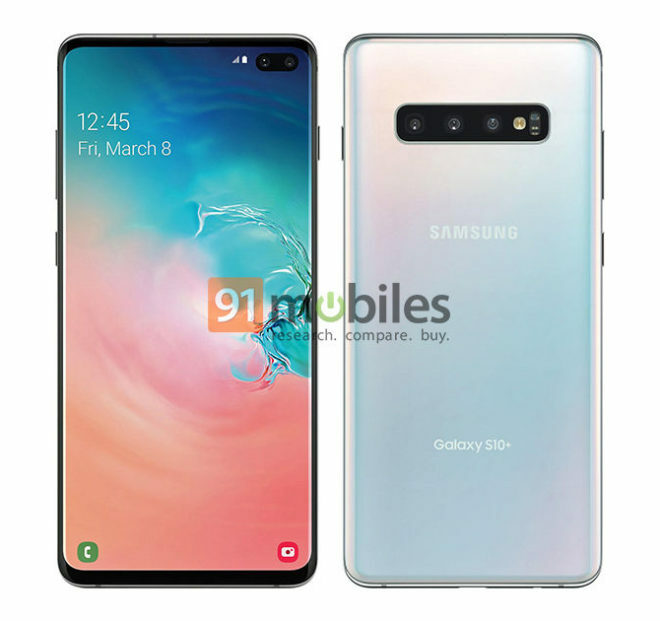 A new Samsung Galaxy S10+ leak has surfaced, and 91mobiles claims that this is an official press render of the upcoming flagship. Everything that we’ve seen in previous GS10+ leaks is here, including the hole-punch with dual front cameras, the triple rear camera setup, and the slimmer bezels. Rumors have suggested that the Galaxy S10+ could include a 6.44-inch screen, 6GB of RAM, 4000mAh battery, USB-C, and 3.5mm headphone jack. A Snapdragon 855 processor seems likely, too. Samsung is also expected to be prepping a standard Galaxy S10 model with a single front camera, a Galaxy S10 Lite variant with a smaller screen and no in-display fingerprint reader, and a special 5G version that may also be coming to T-Mobile. Are you interested in one of Samsung’s Galaxy S10 variants? If so, which one? 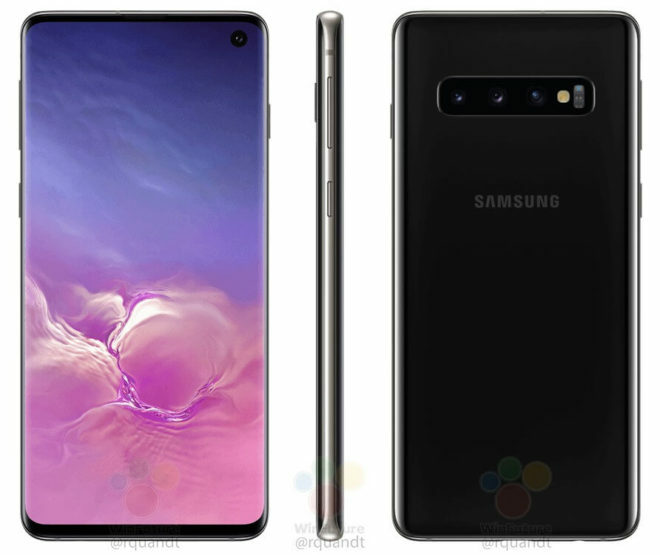 UPDATE: Shortly after this post went up, a new leak from WinFuture that includes press renders of the standard Galaxy S10 surfaced. You can find a few of those images below. Looking like this phone has the rectangular shape that makes it look more like the Note 9. Besides slightly bumped up specs and S Pen, the S10 and Note 10 may be identical this year. If this does not get you excited, then the Note 10 probably won’t. Don’t get too excited. 5G is mostly hype. no you don’t 5GE isn’t 5G . You dont seriously believe that do you? I may have to pass on this one. It got the S7 then S9, so I might be waiting for S11 or for HTC to get back in the game with a banger.